It is impossible to think of Barcelona, Spain's second largest city without including Catalan Modernist Architect Antoni Gaudi (1852-1926). 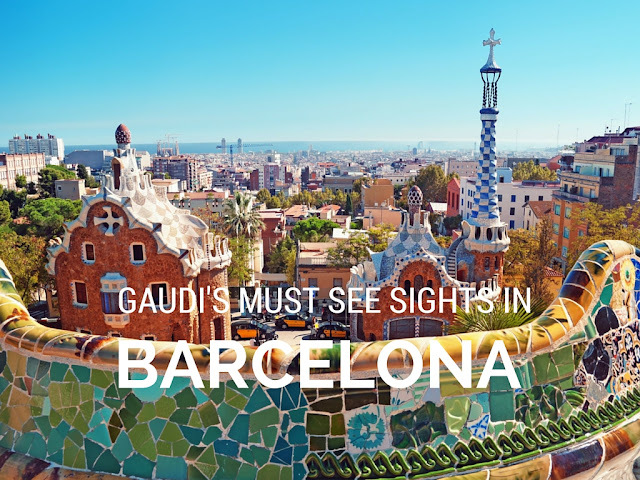 Known for his unprecedented juxtapositions of geometric masses, Gaudi's masterpieces are everywhere. Inspired by the organic shapes of nature, Gaudi studied every detail of his creations integrating into his architecture a series of crafts in which he was skilled: ceramics, stained glass, wrought ironwork forging and carpentry. 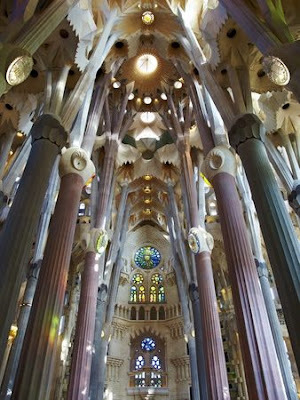 Today seven Gaudi buildings are UNESCO World Heritage Sites and are must sees during any visit to Barcelona. 1. La Sagrada Familia. Barcelona’s Catholic Basilica is perhaps Gaudí’s quintessential masterwork—or it will be once it’s finished. This already grand cathedral has been under construction since 1882. 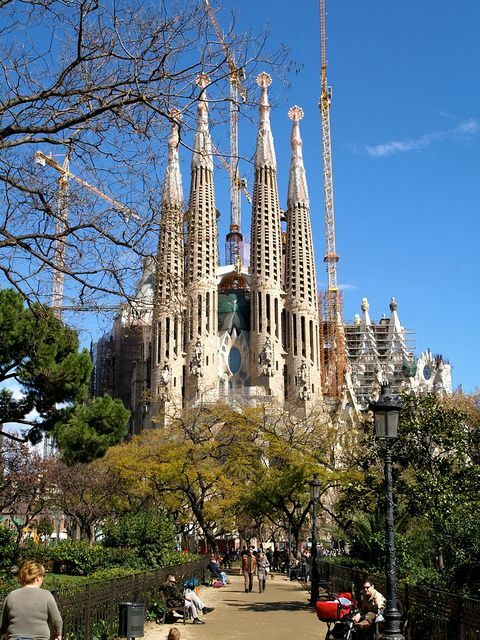 With three unique facades representing the Birth, Passion and the Glory of Jesus, the building, when finished, will have 18 towering spires: 12 dedicated to the apostles, 4 to the evangelists, one to Jesus and another to Mary. 2. Parc Güell . 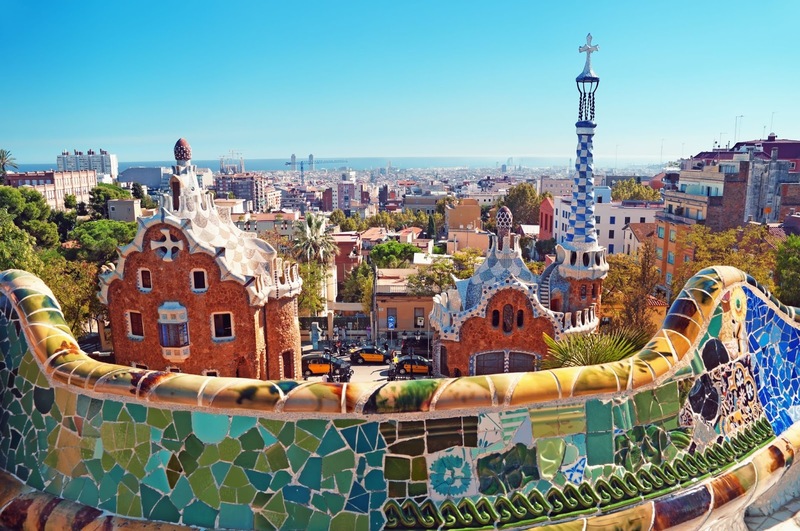 No city has a signature park quite like Barcelona’s Parc Güell, located off Carrer d'Olot. 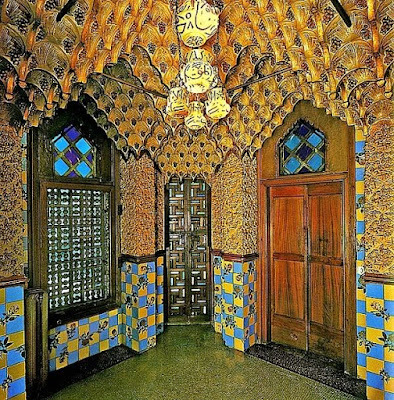 Its swooping entryway is classic Gaudí, like the grand staircase of a funhouse, and the park is filled with his ornate mosaic work. Designed between 1900-1914. 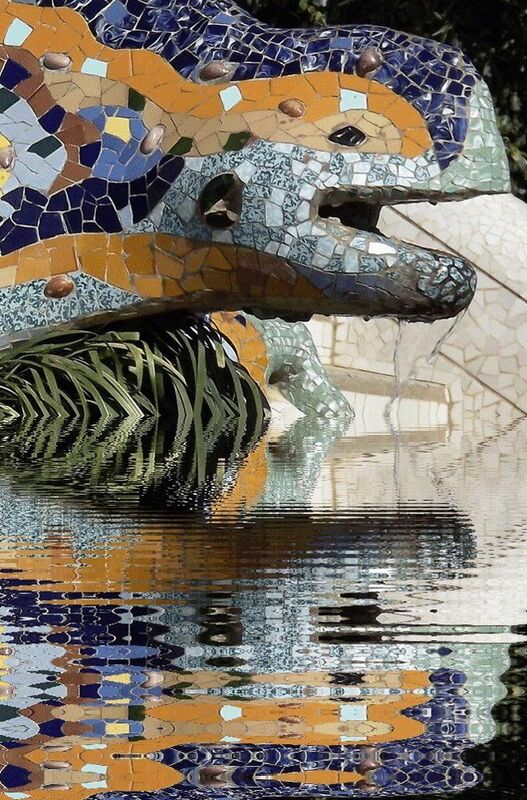 Personal favorites are the mosaic salamander, the unique shape of the serpentine bench and a terraced area where you get a wonderful view of Barcelona. 3. 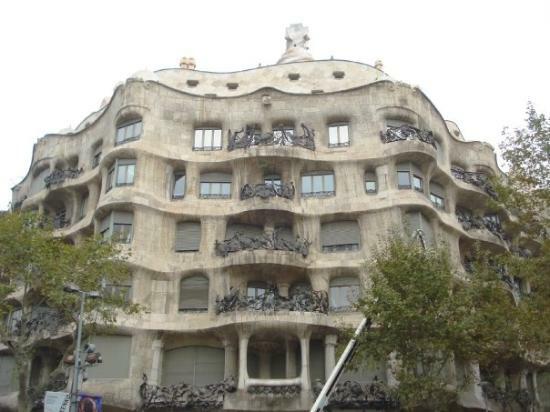 The Gaudí Houses: The central, tree-lined fashion avenue of Paseig de Gracia boasts two of the UNESCO World Heritage sites - La Pedrera or Casa Milà and Casa Batlló. 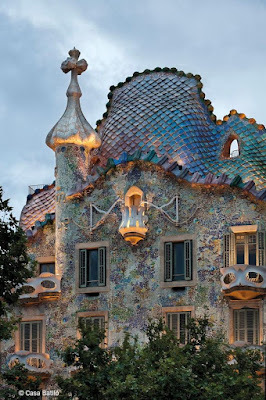 The most famous, Casa Batlló a grand, rippling structure the color of tarnished copper. Built from 1905 to 1907 for the Batlló’s family this modernist building is entirely made of curves, irregular oval windows, flowing sculpted stone work decorated with a mosaic made of broken ceramic tiles (trencadís). 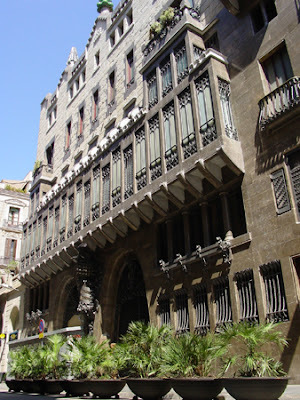 The roof is said to be inspired by Saint George Killing the Dragon (Saint George is the patron saint of Catalonia). 4. Casa Milà . Casa Milà is also known ironically as La Pedrera: the "quarry" due to the extensive use of sandstone on the facade bereft of straight lines, and is a marvel to behold. 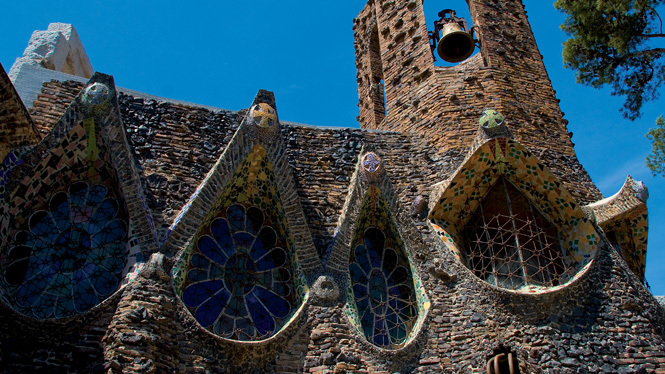 Striking for its undulating stonework, Gaudi’s design was highly controversial of its time. 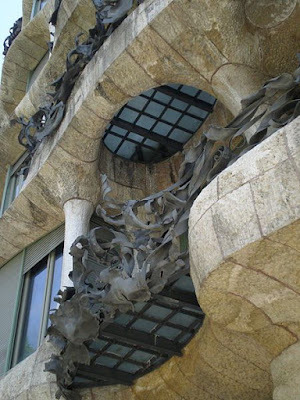 Officially completed in 1912, Casa Mila is considered architecturally innovative for its self-supporting façade comprised of steel structure and curtain walls. 5. Palau Güell In the centre of the city, in the Raval, specifically on Nou de la Rambla Street is one of Barcelona’s most visited streets and attractions. 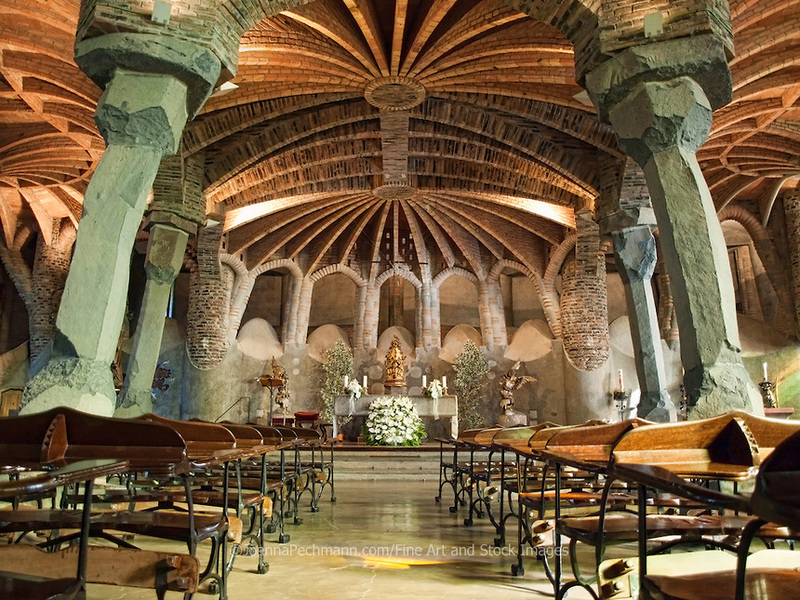 This was the only project which Gaudi actually completed and has not been altered or touched since. 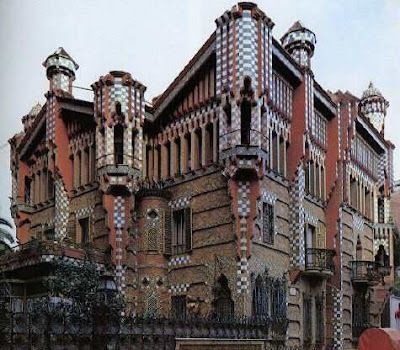 Designed as a mansion for the industrial tycoon Eusebi Güell, and built between 1886 and 1888. 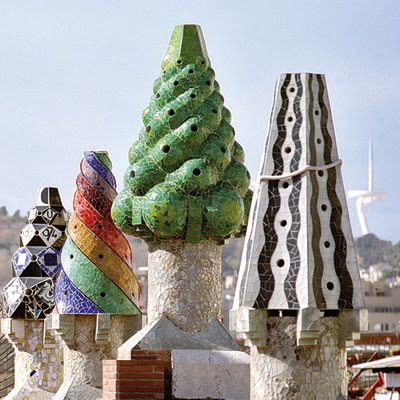 One of the most breathtaking aspects to the building is the rooftop, comprising of 20 decorated chimneys and offering an amazing view around Barcelona. 6. Casa Vicens. The residential villa located at 24 Calle Carolinas, was built between 1883 and 1888 for the broker Manuel Vicens i Montaner. This was Gaudi's first major commission, and he did not disappoint. 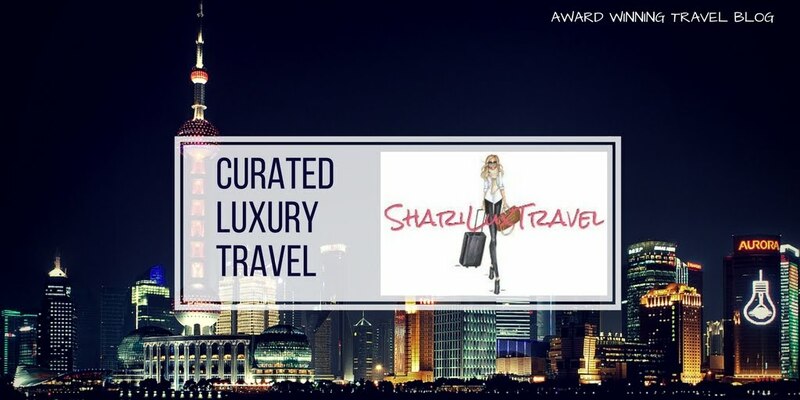 The decoration, appears as an explosion of imagination and brilliant ideas. Designed with Moorish inspiration is remarkable for the highly colored ceramics. The grille work of wrought iron in palm frond motif is magnificent. 7. Colonia Güell is the final offering from Gaudi, although this is slightly outside Barcelona city centre itself, in Santa Coloma de Cervelló about 20 minutes away. Gaudi was commissioned to design the church and his project consisted of an upper and lower nave, towers at the sides and a belfry measuring 40 m in height. For many people, the crypt is in fact his boldest and most modern project: an imaginative and complicated structure.